More great sporting events are coming to the city and now Great Britain Wheelchair Rugby is delighted to confirm that Leicester City Football Club Owners, Thai Duty-Free giant, King Power, has confirmed they will be the title sponsor of the first ever Wheelchair Rugby Quad Nations tournament to be held in Leicester in March. 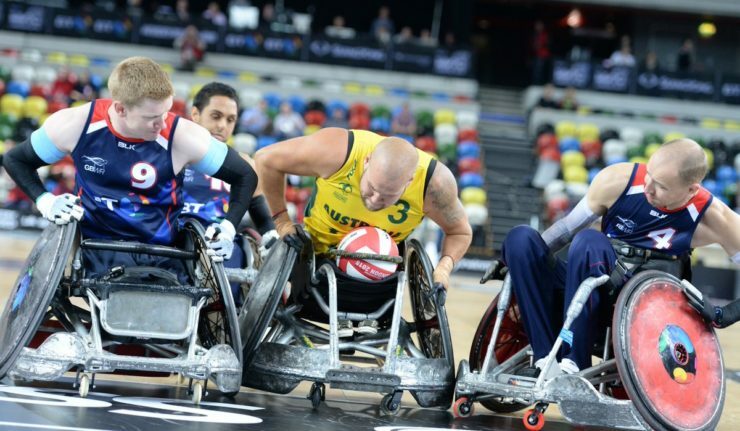 The inaugural Wheelchair Rugby Quad Nations will take place at Leicester Arena hosting World Champions and Paralympic Gold, Silver and Bronze medallist teams from around the globe. King Power CEO Aiyawatt Srivaddhanaprabha commented, “We’re extremely proud to support the inaugural Quad Nations tournament and to continue to promote the development of world-class sport in Leicester. The tournament will be sanctioned by the International Wheelchair Rugby Federation (IWRF) who consider Leicester to be the ideal host city for the event due to its rich sporting heritage and the continued success of Leicester City Football Club and Leicester Tigers Rugby team. Daytime and evening sessions will take place over 3 days at Leicester Arena. Tickets start at just £5 with special offers available for groups and families. Tickets and full match schedule are available from the WRQN website.